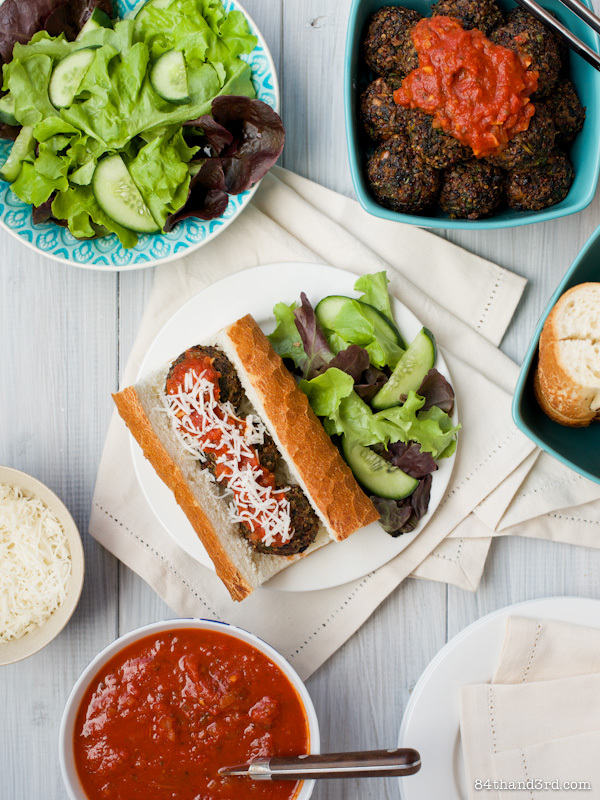 There aren’t many things better than a big pot of meatballs and sauce to feed a crowd. Prepared in advance and called on as needed they are at once terribly simply and extraordinarily versatile. Growing up, meatballs and stuffed shells were our standard Thanksgiving Eve meal. A simmering pot was ready and waiting for family who rolled into Philly at all hours of the day and evening, and anything remaining came out to sit alongside the Thanksgiving leftovers for Friday lunch. My mother made quite possibly the best meatballs in the world but over the years as my brother and I stopped eating meat, and he discovered a dairy allergy, meaty-meatballs and cheese-laden-shells were passed over in favour of huge fillets of salmon and piles of roasted veggies to feed the hordes. It was a perfect meal in it’s own right, but not quite the same as that bubbling pot of meatballs. 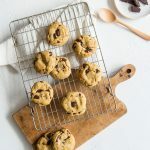 Not only does it open the door to reinventing an old family tradition and provide a perfect alternative for meat-heavy summer barbeque get-togethers, but you could you win a $10,000 holiday due to the 300g of mushrooms in the recipe … huh?! Well, I am once again working with Australian Mushroom Growers and this year they are running a brilliant competition. 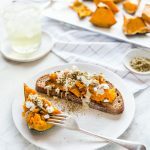 By now you must know how good mushrooms are for your physical health — from providing vital Vitamin D, selenium and antioxidants, to lowering the risk of cancer, to keeping your heart healthy — but I’d hazard a guess that winning a holiday is pretty darn good for your mental health too. The comments exploded with everything from Portugal and Iceland to Paris and Alaska, and while my number one holiday dream right now is Sicily (followed by about a dozen more destinations in Italy) I would easily go to any one of the places mentioned by everyone else. Go buy some mushrooms! Buttons, cups, flats, Swiss browns or Portabellas are all game, make sure you get at least 200 grams between now and 9 February 2014. Visit the Power of Mushrooms ‘Where would you rather be?’ competition page and enter your receipt details. Then go stick the receipt to the side of the fridge, you’ll need it if you win. Cross your fingers and start planning your dream holiday over a mushroom feast. Repeat each time you go to the shop. The weight of your mushroom purchase relates to what you can win and from a $5,000 holiday for 200g to a massive $20,000 for 400g the world could be your oyster — or more accurately, your mushroom. 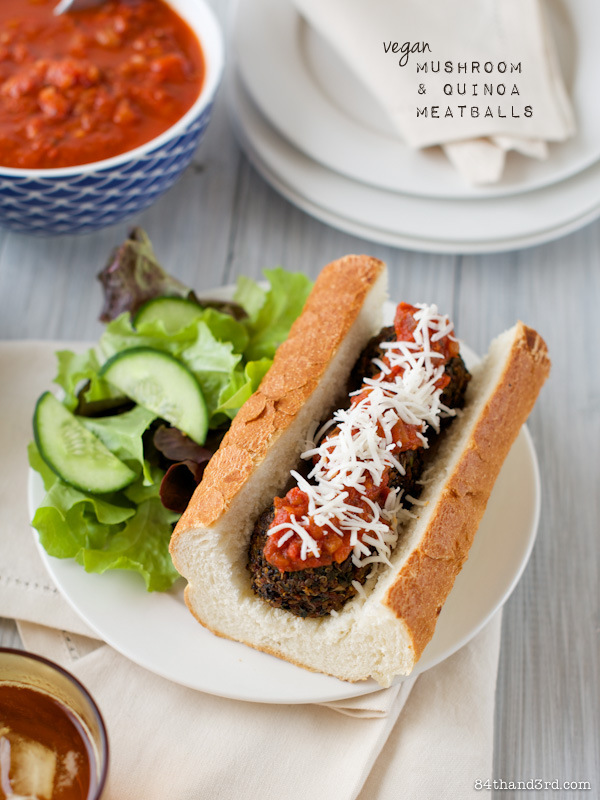 I mentioned previously that meatballs are at once terribly simply and extraordinarily versatile — the same could be said for the key ingredients in this vegan version. Mushrooms of course, some quinoa, and a few handfuls of kale, mean these little non-meatballs pack a pretty good nutritional punch. The sauce is both fresh and rich with a secret burst of umami from dried mushrooms. 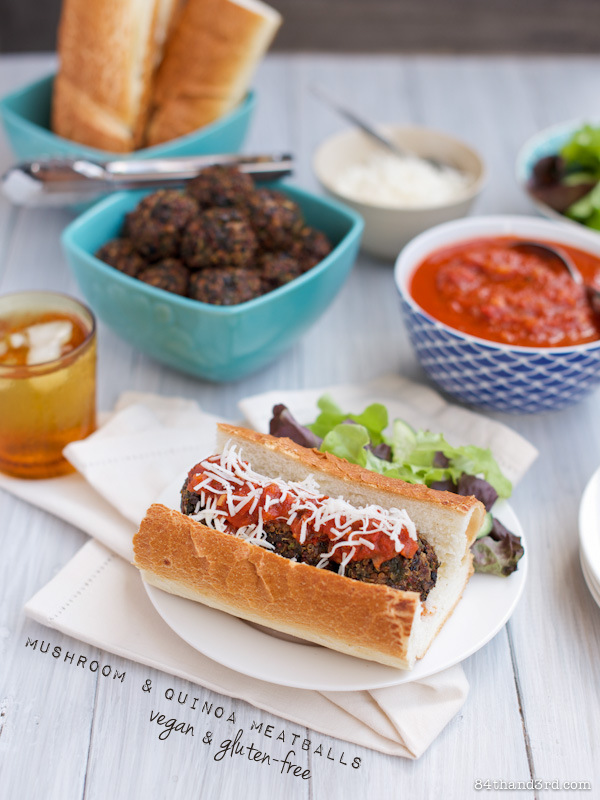 Just like meaty-meatballs, Mushroom Quinoa Meatballs can be served over pasta or zucchini noodles, chopped up to top pizzas or — as I’ve done — arranged in a fresh roll as a meatball sub. 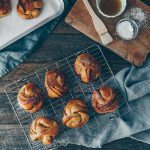 Vegan, gluten-free and soy-free these versatile little bundles are not only suited to any occasion but any guest too. 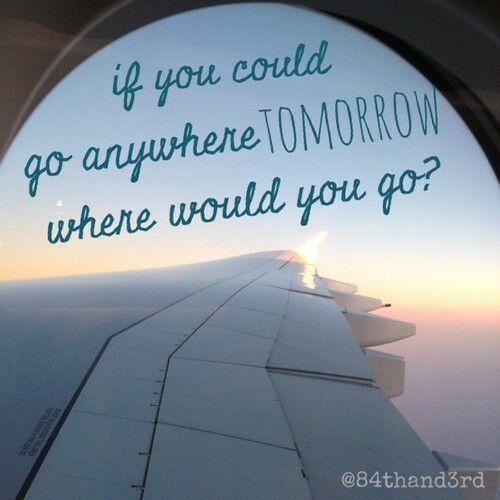 If you could go anywhere tomorrow where would you go? 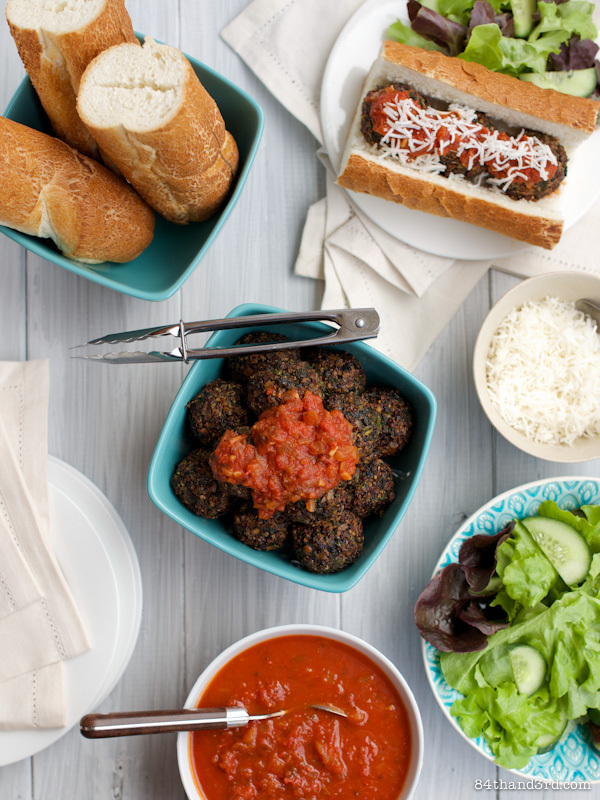 There aren’t many things better than a big pot of meatballs and sauce to feed a crowd. 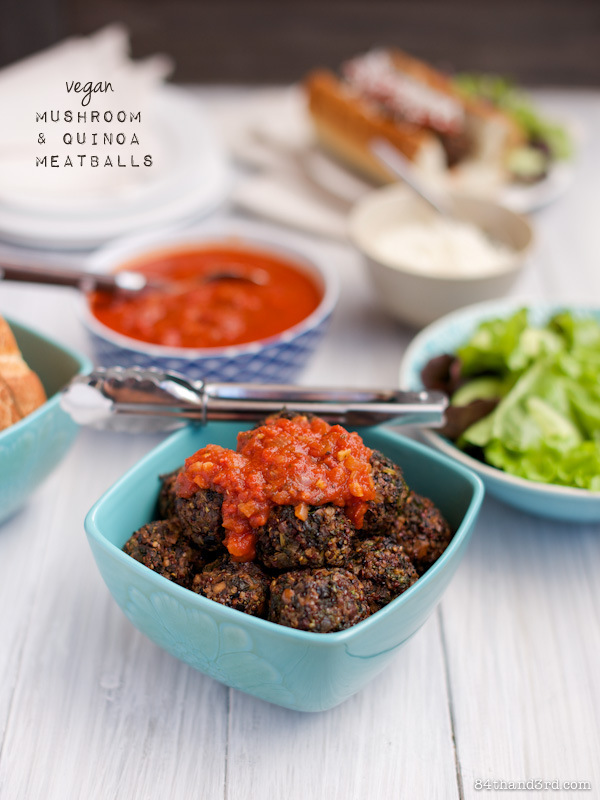 Vegan, gluten-free and soy-free these versatile meatballs are not only suited to any occasion but any guest too. You can even prepare them in advance and reheat as needed, how perfect. In a large skillet over medium-low heat, saute onion and garlic in the oil for 5 mins until translucent. Add diced mushrooms, herbs and 1 tsp salt and saute 5 mins until liquid has started to release and evaporate. Add tomato paste and cook for 1 minute. Add kale and saute 5 mins. Add flax meal and quinoa and cook until mixture is well combined and quinoa is hot. Remove from heat and season to taste with pepper and extra salt — or any of the flavour boost options below. Stir mixture regularly as it cools, this will help to make the mixture a bit sticky so it is easier to form. Preheat oven to 200C (400F). Use damp hands to form cooled mixture into golf ball sized portions and place on a baking paper lined sheet pan. Spray or lightly brush top of meatballs with a bit of extra oil and bake for 20 – 25 minutes until just crisp and firm. Cool on tray and serve with Rustic Pasta Sauce (recipe below). Rinse 1 cup quinoa (white, red, black or a combo of all three) under cool water, drain well. Add quinoa to a medium saucepan with 1 1/2 c cold water. Bring to boil, cover and reduce heat to very low. Simmer, covered, for 14 mins then remove from heat and set aside, still covered, for a further 10 mins. Fluff with a fork. Makes approx 3 cups quinoa. If not gluten-free replace extra salt with 1 tsp Vegemite thinned with a bit of water; if not soy-free replace extra salt with 1 – 2 tsp tamari; if extra ambitious soak a 2 Tbsp of dried porchini mushrooms in an equal amount of boiling water until cool, finely chop mushrooms and strain liquid, adding both to mixture with the kale. Reheat by baking in a 180F (350C) oven, or simmering gently in pasta sauce, for about 10 mins. I love this sauce, really. 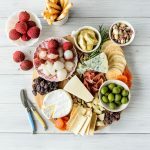 It is easy enough to whip up on a weeknight and can be used for pretty much anything. If using porchini mushrooms, soak in 1/4 c boiling water until cool. Finely chop mushrooms and strain liquid. Set aside. In a large sauce pan over medium-low heat, saute onion and garlic in the oil for 5 mins until translucent. Add fresh tomatoes (if using) and saute 5 mins. If not using go to next step. Add tomato paste and herbs and saute 1 min. Add passata to the pan then fill the jar about 3/4 full with water (to get all the extra passata out) and add to pan. Add chopped porchini mushrooms and soaking liquid, straining to remove any sediment. Partially cover and simmer on low for 30 minutes. Remove cover and simmer for a further 10 minutes. Cool slightly then season to taste with sea salt and pepper. I don’t do tomatoes in cans because the cans are lined with BPA and the acidity of the tomatoes leaches the chemicals out even more than with most canned food. Yeah, no thank you. Nobody does tomatoes in jars (and if they do they are exorbitant) and I don’t preserve my own (unfortunately) but I recently discovered a brilliant Crushed Tomato Passata that I’m buying in vast quantities. You can use regular smooth passata in this or if you are ok with canned tomatoes feel free to use crushed ones in juice. If tomatoes are in season add a couple but if they aren’t this will be just as good without them. I have been compensated by the Australian Mushroom Growers Association for the creation of this recipe. All opinions expressed – including the slight obsession with both mushrooms and holidays – are all mine. I know I am biased when it comes to mushrooms, but this is one great meal idea. Will definitely give it a go. Thanks for sharing the mushroom love. Thanks for the recipe JJ. I’d like to be able to make meatballs without the mince for sure. It’s a good alternative isn’t it! A great idea for veggos! G’day! These look wonderfully healthy JJ, true! Spread the word and what a great idea too! What a great vegetarian dish. Always on the lookout for great recipes. Thanks for the inspiration. Cheers Melissa, hope you enjoy! Sorry JJ, have just seen this – amazing! 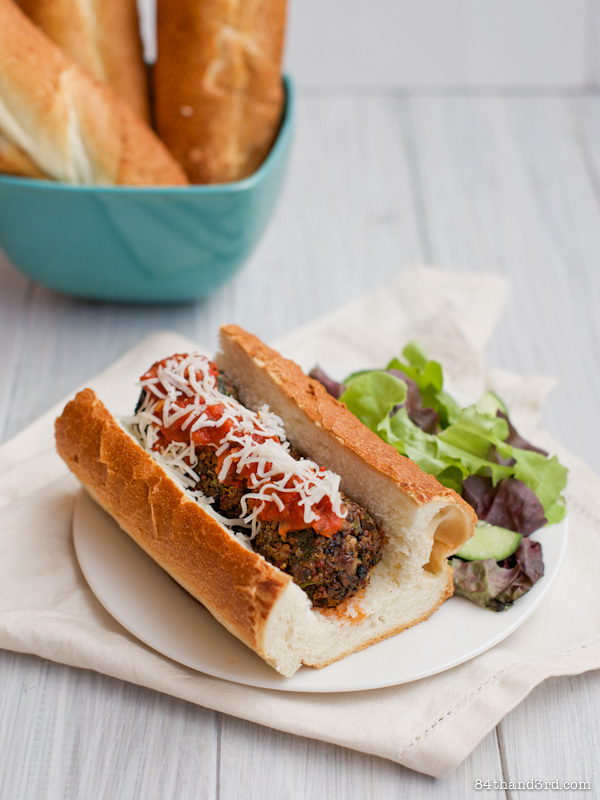 Absolutely love a saucy meatball roll – especially when it’s packed full of mushies rather than meat. Perfection! 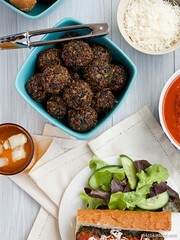 We made the vegan meatballs last night and they were soooo good! We had about 20 left so we are freezing them for meals to come! Thanks for the amazing recipe! These look amazing. Can not wait to try them. Quick question about the meatballs.. I couldn’t get mine to hold their shape. Is there anything that can be added to make sure it all stays together?